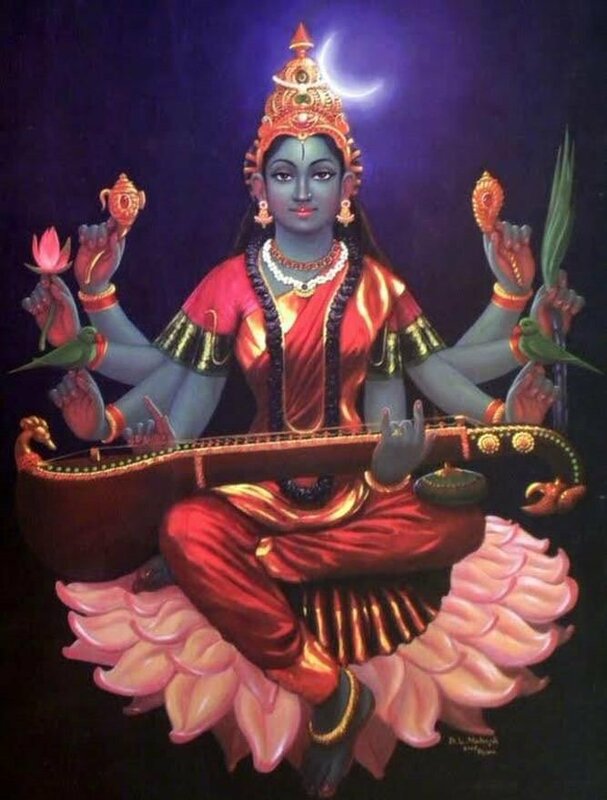 Seated on a lotus blossom, Kamala is the beautiful and fully-realized Mahavidya (Great Wisdom Goddess) form of Lakshmi, the goddess of wealth, well-being, fertility, and prosperity. They are in fact the same goddess, though Kamala is more esoteric in nature. She is also known as Tantric Lakshmi.Devi Kamala is the tenth of the Dasha Mahavidya Goddesses. The goddess in the form of Kamala bestows prosperity and wealth, fertility and crops, and good luck. Hence She is Devi of both Dhan and Dhanya i.e. wealth and grains. Goddess Kamala is same as Goddess Lakshmi and is portrayed in a red dress and lavishly adorned with golden jewelry. She has golden complexion. She is depicted with four arms. In two arms, She holds lotus flowers and with remaining two arms She makes boon-giving and being-fearless gestures which are known as Varada and Abhaya Mudra respectively. She is flanked by four elephants who are shown giving Abhishekam to Goddess Kamala who is sitting in the midst of the ocean on a lotus flower. Goddess Kamala mantra is chanted to gain wealth and prosperity. Hence, here are 8 Devi Kamala Mantras For Prayers and Getting Her Blessings.